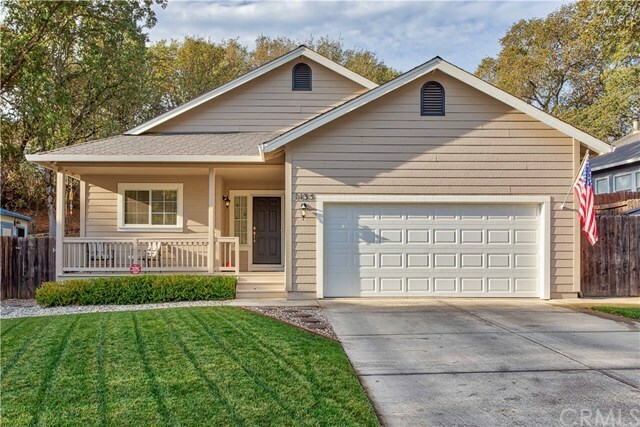 Pristine and pretty, this 3 Bedroom/2 Bath home is conveniently located near the schools in Lakeport! The front, covered porch offers a place to sit and watch the wildlife! Enter into the great room with vaulted ceilings, built-in shelving with cabinets and a gas fireplace. The kitchen offers hardwood floors. Down the hall is where you'll find the laundry room with garage access, generous sized guest bedrooms, a large guest bathroom and the master suite. The screened in patio is located off of the living room and master suite. Your park-like setting backyard offers an area to park your RV, play on the lawn, and meander through the Oaks on the pathway. There are 2 different sheds for outdoor storage, and fenced area on the side yard that could be used as a dog run! This is a perfect home for all buyers!